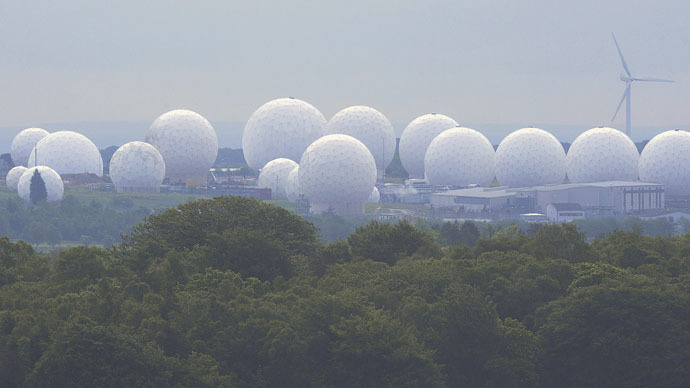 UK electronic surveillance agency GCHQ is using bulk data collections methods that have been outlawed in the United States, according to a privacy group which has filed a legal challenge against the practice. In a challenge lodged with the Investigatory Powers Tribunal (IPT), Privacy International (PI) campaigners are attempting to end the mass collection of the general public’s data. The complaint aims to shine a light on the difference between UK and US legal restrictions on mining huge volumes of metadata. In the US, the Freedom Act came into effect June 1, effectively limiting the state’s capacity to access mass amount of date, including innocent citizens’ personal records. Speaking about the disparity between US and UK law on the issue, PI’s deputy director Eric King told The Guardian: “That the practice started, and continues, without a legal framework in place, smacks of an agency who sees itself as above the law. Under the current system intelligence can also be extracted from private companies, King said. “Secretly ordering companies to hand over their records in bulk, to be data-mined at will, without independent sign-off or oversight, is a loophole in the law the size of a double-decker bus. “Bulk collection of data about millions of people who have no ties to terrorism, nor are suspected of any crime, is plainly wrong. That our government admits most of those in the databases are unlikely to be of intelligence value … shows just how off-course we really are,” he said. Last month, PI was the first to report that the law was being quietly changed, they say, to grant police and spy agency hackers immunity by amending the Serious Crimes Act 2015. In a letter sent to all MPs on May 26, 38 specialist signatories drawn from across different fields of law explained their concerns and called for a proper assessment of the risks posed by Britain’s security state.